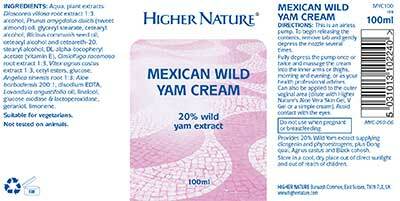 Nourish your skin with our sumptuous Mexican Wild Yam Cream. This rich body cream sinks into the skin, leaving it feeling soft, hydrated and moisturised. Whipped with aloe vera, vitamin E and sweet almond oil, its ideal for pre and post-menopausal women, containing 20% wild yam extract. Subtly fragranced with lavender oil, it’s further enhanced with traditional herbs that have been long-used to treat symptoms of the menopause, such as Dong Quai, Black Cohosh and Agnus Castus. 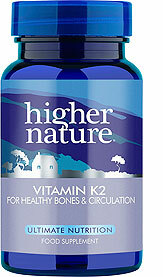 Provides 20% Wild Yam extract supplying diosgenin and phytoestrogens, plus Dong quai, Agnus castus and Black cohosh. Fully depress the pump twice and massage the cream into the inner arms or thighs until absorbed, morning and evening or as your health professional advises. Can also be applied to the outer vaginal area (dilute with Higher Nature’s Aloe Vera Skin Gel, VGel or a simple cream). Avoid contact with eyes. Not advisable if pregnant or breastfeeding. Contains nut oil. Avoid contact with eyes. 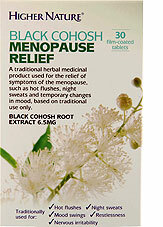 This cream helped me considerably with hot flushes when going through the menopause; they've almost disappeared completely. I strongly recommend it." 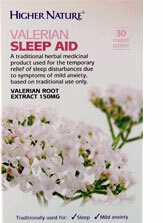 I started using it a year ago, age 52, when i felt my first hot flushes, they seased after 1 week on the cream. Using it quite regularly. Great to have it sent straight to my postbox! I started using this product several years ago when HRT didn't suit me. I call it my lifesaver. I haven't used it for some time but am starting using it again. A friend recommended to avoid hot flushes. Now 55 I haven't after using this for over a year experienced any hot flushes! May not be menopausal yet, but taking no chances.